Ball games never get boring. Kids and adults quickly forget time whilst playing and having fun. Adults also appreciate the workout and kids have a blast while playing with friends and family. 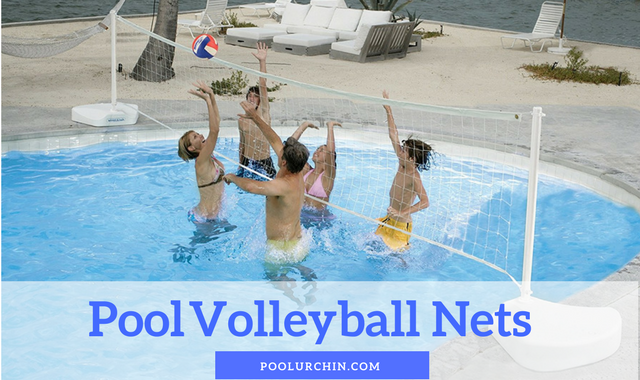 In this article we have reviewed different pool volleyball nets and designs, from cheap inflatables to tried and tested portable sets, in-deck mounted sets and also included an industrial strength volleyball net built to last practically forever. 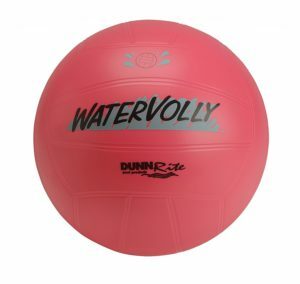 We are sure you will find a water volleyball game best suited for your budget and requirements. The table below gives you a quick overview of what’s available on Amazon. Feel free to scroll down for further in-depth information. 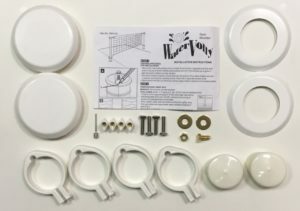 Dunn Rite has been manufacturing pool products since 1988 and were the first to create a commercial grade pool basketball hoop which we have reviewed. The Watervolly Set continues their line of sturdy, long-lasting pool products. 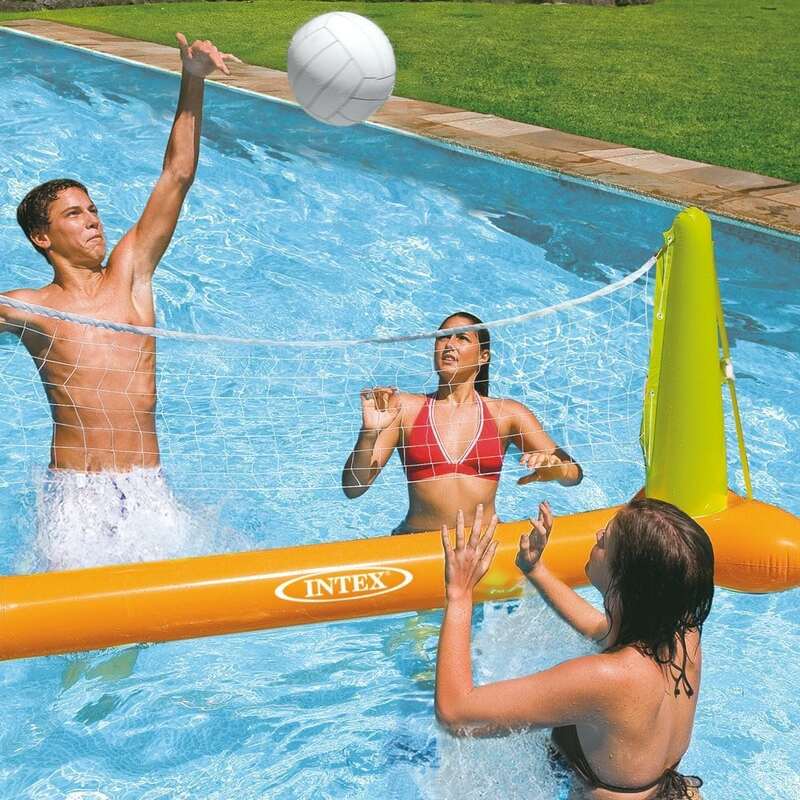 This regulation-size water volleyball set is designed for residential and equally suitable for more commercial use. Bases: These are large! 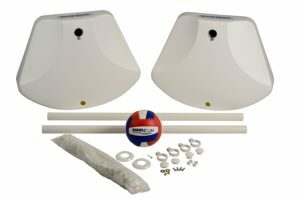 Made of white molded plastic and are easy to put into place when empty and weigh 110 lbs each when filled with water holding the poles firmly in place. 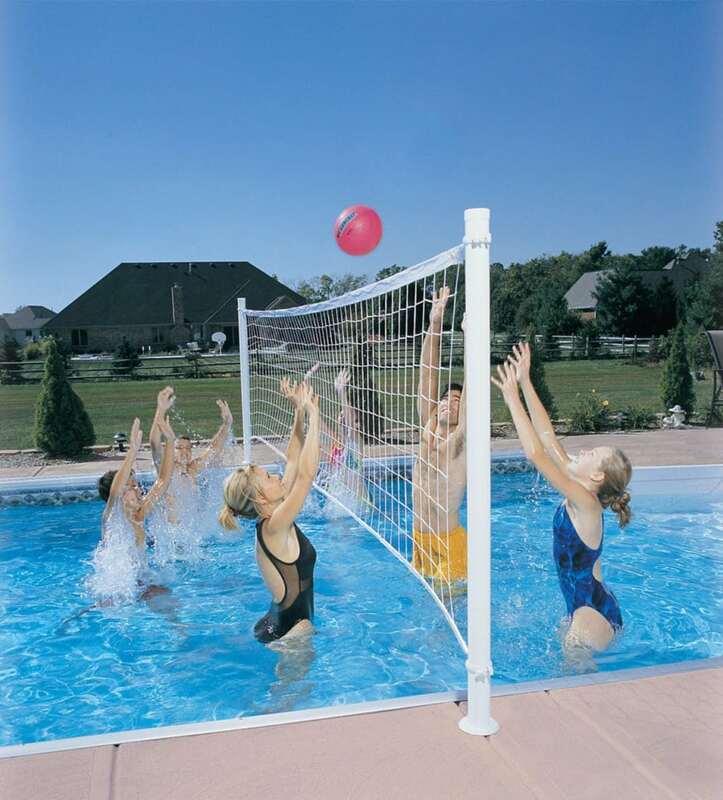 The heavy duty net can be adjusted in width to fit your pool. It will cover a maximum of 24 feet as that is the width of the net. Should you need more than that there are a few inches of rope used to tie the net to the poles, so you have a little more room there or could even add some more rope. However, the longer you go the more likely it is for the net to sag. The volleyball is regulation size and has a nice soft feel to it. 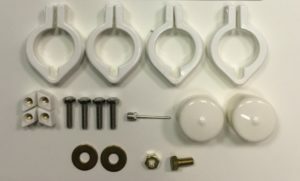 This retrofit kit with powder-coated aluminium poles comes in two sizes and quality levels. We have therefore put the information in a table so you can compare them side by side to understand the difference in price and also decide which one is better for your requirements. No Anchors. Unit is designed to fit existing 1.5″ PVC inserts. First Team specialises in sports equipment for commercial places including water parks. So you can rest assured that everything is truly competition grade. There is no way around it, this kind of superior quality comes with a serious price tag. 3 1/2″ diameter aluminum posts and a powder coat finish – These are solid and the powder coat finish will withstand hot sun and pool water for years to come. 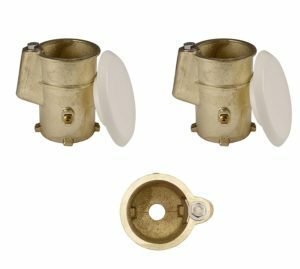 Hinged ground sockets for easy installation and removal when opening or closing the pool. When the posts are removed, the hinged lid covers the sleeve and provides a nice finished look. Customized Competition grade volleyball net for lasting quality. 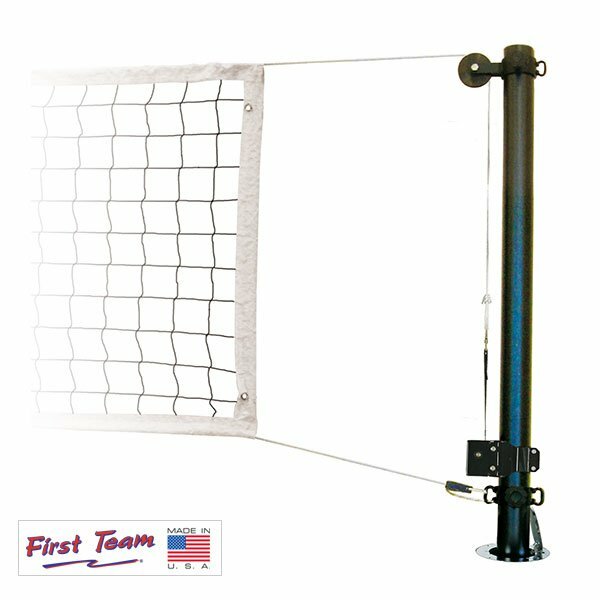 First Team provides the net in the right length for your pool. Intex is well known for its range of small and large inflatable pool toys. In fact, the Intex inflatable pool basketball hoop is listed as best in its category. 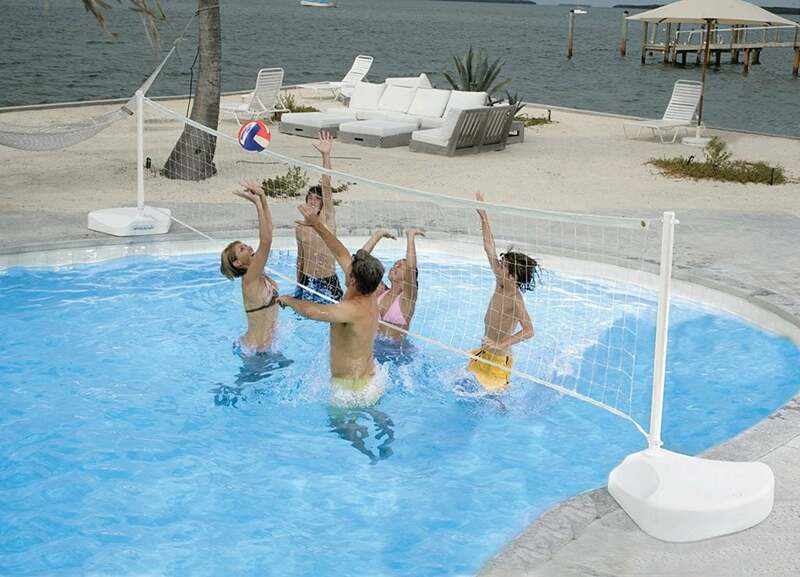 This inflatable volleyball game set is also perfect for fun family games. The net needs to be inflated and held in place by anchor weights. It works best if you put larger rocks or bricks in the weight bags to avoid for the net to be blown out of the pool. The ball is a ligthweight inflatable waterball but does work fairly well. Buyers are happy with the quality for the price and are often surprised how big it is. So please check the measurements: 94″ X 25″ X 36″. 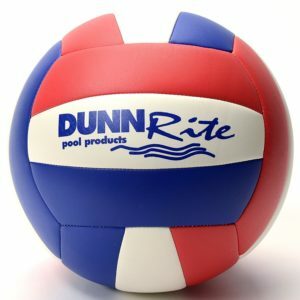 The main point for better players is to have a softer than normal volleyball for pool games. It does pay off to have a waterproof, soft-touch ball. Your forearms will thank you. Younger players quickly loose enthusiasm with a ball that’s too heavy. A simple inflatable waterball is best to start with. You will find some suggestions in the table below. Pool volleyball doesn’t come with any official rules and it’s best to agree on guidelines before start. How detailed these are will depend on age and skills of participants. Generally, the more competitive and skilled the players are, the more they will want to have a set of rules to adhere to. 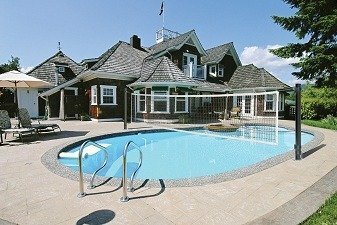 Find an overview of how to play pool volleyball here. We hope you have found a set for your requirements. If you are still sitting on the fence why not have a look at our basketball/ volleyball combo reviews? This entry was posted in Pool Activities, Pool fitness, Pool Volleyball on February 26, 2018 by Pool Urchin.